Training/race tire with slick center, grooved lateral tread for traction. XC race tire with low rolling resistance, traction in medium soil. Street urban comfort tire w/smooth center grooved for traction & lateral knobs for traction when needed. Lite race/training tire with smooth tread, directional siping. Fast rolling street tire with smooth center and directional siping. 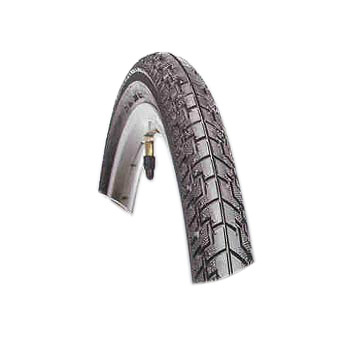 Hybrid tire with small lugs suitable for road, light trail use. 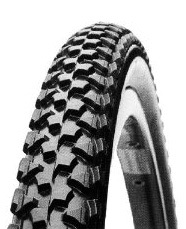 XC tire with medium-sized knobs suitable for road, light trail use. Slick cruiser tire with widely spaced narrow grooves for traction. Awesome grip and ultra low rolling resistance make this tire a race day favorite. Recreational tire with raised center for low rolling resistance. Urban/recreational tirewith shallow, grooved tread for multiple conditions. Recreational tire with horizontal grooves for traction. Street tire. Grooved tread with directional siping. 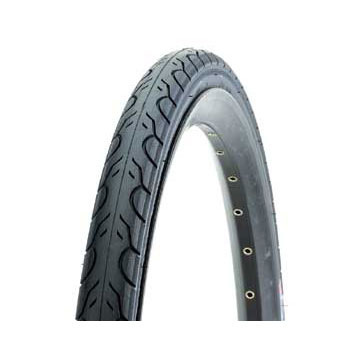 Hybrid/touring tire for fast rides, commuting. Lite race/training tire with grooved lateral tread for traction, smooth center. Park/street tire, with directionally grooved tacky tread.